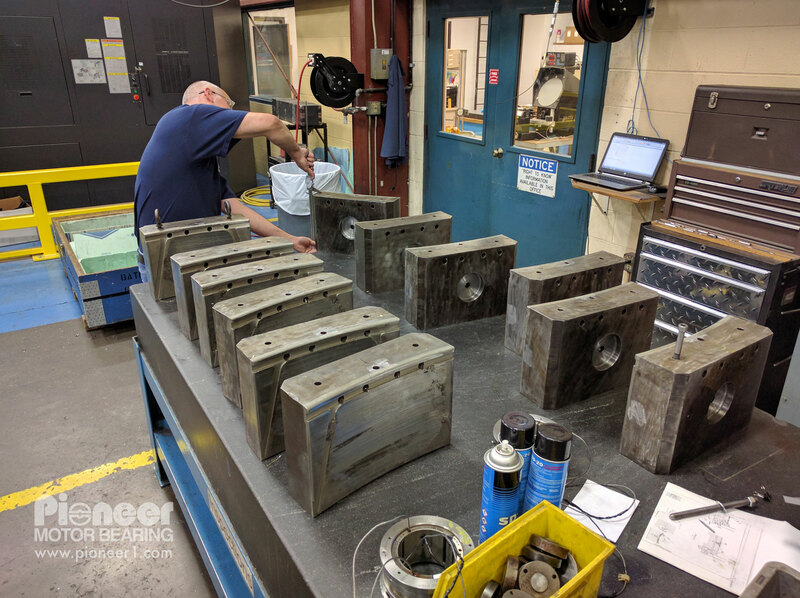 12 pad vertical guide bearing damage | Pioneer - Babbitt bearing repair experts. This was one of the more impressive bearings to come in lately. 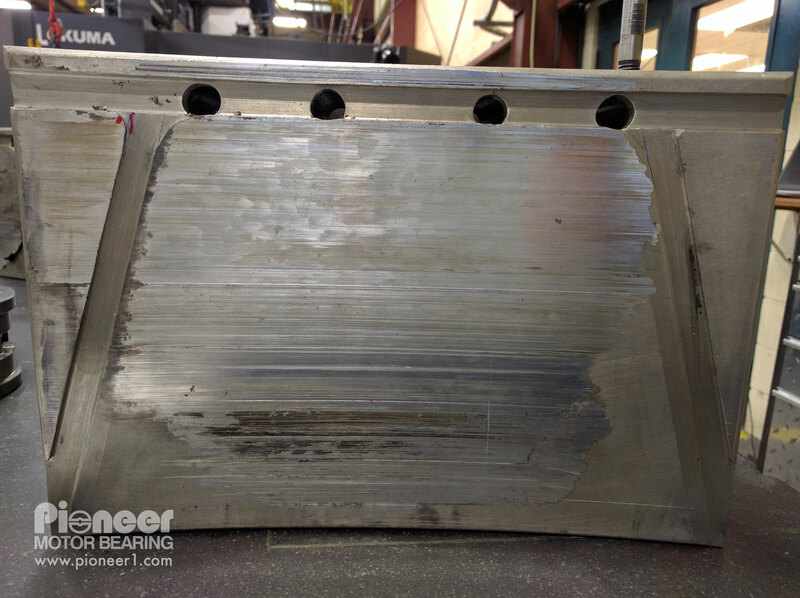 This bearing is a 12 pad vertical guide bearing that was absolutely trashed on every pad. 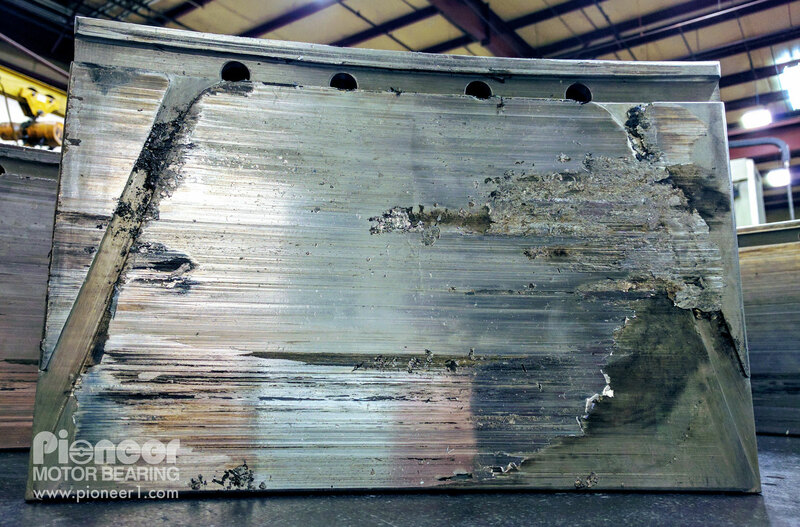 This type of bearing damage can be diagnosed and avoided using Pioneer’s Bearing Damage Flip Chart.